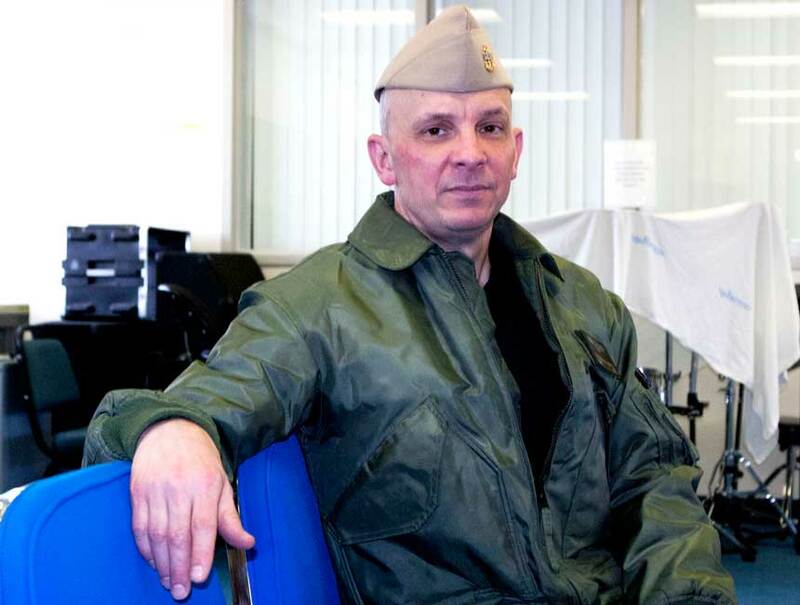 SHELTON – When Stephen Gonczi retired from the U.S. Navy after 24 years of active duty, he didn't know what to do. Like many veterans, he struggled to figure out what his next career move would be as he transitioned back to civilian life. The answer came from behind prison walls. 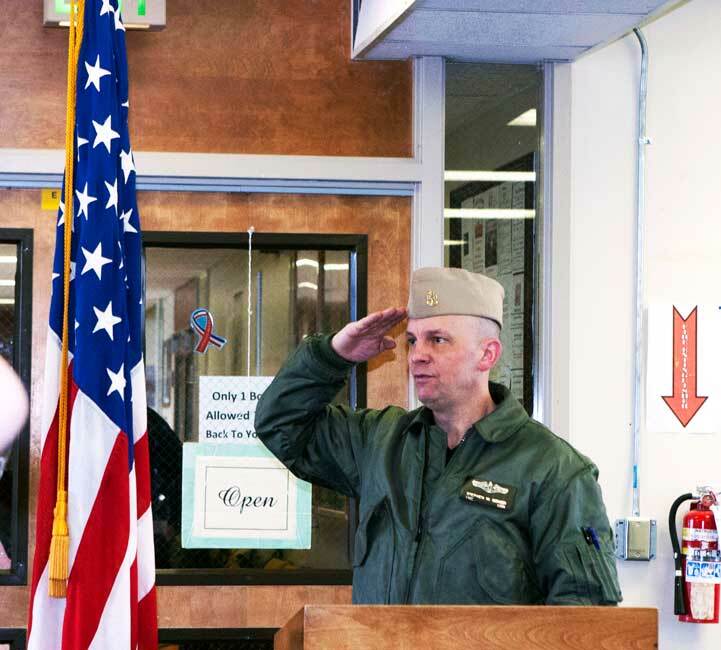 Since 2010, Gonczi has served as the incarcerated veterans' group sponsor, and in 2014 was officially appointed as the incarcerated veterans' inmate representative at the Washington Corrections Center (WCC) in Shelton, Wash.
"I came out of the service saying 'Is there anything I can do to give back? Is there anything I can do to still be military-like and identify with something?'" Gonczi said. "This gave me something to do. It wasn't active duty. It wasn't on a ship or a base somewhere stationed overseas, but at least you're being around a bunch of guys who actually served. That helped identify with me and gave me something personal to do." Over the past year, he's led several service projects with inmates who are also military veterans. Their projects recently earned Classification Counselor Gonczi an Agency Award for Community Service, which was presented at a ceremony in Tumwater on April 14, 2017. One example of community projects Gonczi and the incarcerated veterans group led was a three-day walkathon. Last fall, inmates gathered pledges from friends and family members pertaining to the distance they walked. A total of 174 inmates raised $2,100 for Toys for Kids Plus, a charity that provides supplies for programs benefitting children from low-income families in Mason County. Another fundraiser in March of 2016 raised more than $900 for the Offender Benefit Fund, which supports family programming at the prison. The group also raised $700 for Santa's Workshop, a children's holiday giving program at Joint-Base Lewis McChord, and $300 for the Navy Junior Reserve Officers' Training Corps (ROTC) unit at Shelton High School. Gonczi says he was flattered by the award, but all of the fundraising ideas came from the incarcerated veterans. "It tells you that you're part of something and your work is valued," Gonczi said. "But I'm just the liaison. These guys are the ones that make it happen." Gonczi was also part of a group of staff and community members who launched American Legion Post 11, the first ever American Legion post at a Washington state prison. The American Legion is the largest non-profit, non-partisan wartime veteran's organization. It provides veterans' support services such as job training and employment support, accessing health care and life counseling, and guidance for using educational and financial benefits. 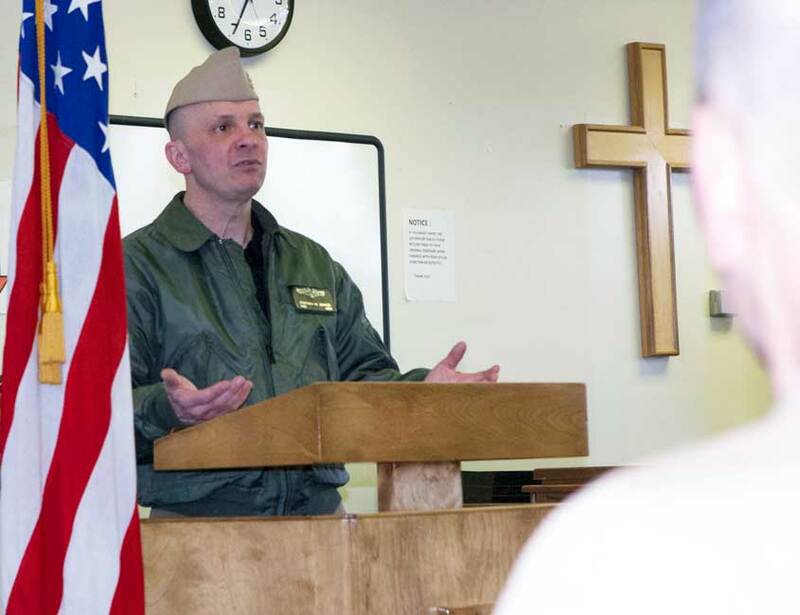 Incarcerated veterans, who are part of the post at WCC, hold monthly meetings with official ceremonial activities such as opening and closing rituals, posting of the colors, reciting the Pledge of Allegiance, chaplain's prayer and reciting the American Legion Constitution. Gonczi has also used the American Legion to arrange guest speakers, which has included retired military officers, colonels, and even a former prisoner of war, to visit the incarcerated veterans group. Gonczi says serving as a sponsor for the American Legion helps the Washington Department of Corrections fulfill its mission of improving public safety. A large part of his job involves listening to incarcerated veterans and helping them find community organizations that can assist them in acquiring housing and basic necessities for when they eventually leave prison. If incarcerated veterans have that kind of support outside of prison, it's less likely they'll return to incarceration, according to Gonczi. "Sitting and waiting is a terrible thing," Gonczi said. "If we can at least get these guys set up with something on the outside when they leave, they'll know they can talk with a person about an issue and get started."